As you’ve probably noticed by now, the new anime season has finally begun! 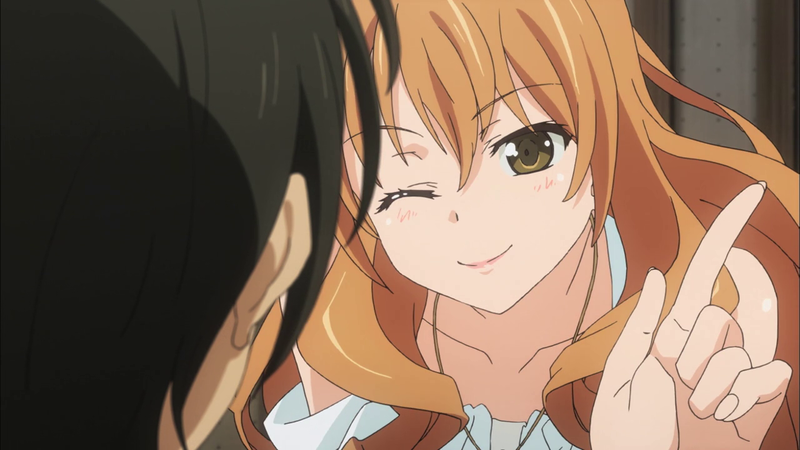 There is quite a selection of promising anime airing this month, and Golden Time is one that I am certainly looking forward to. 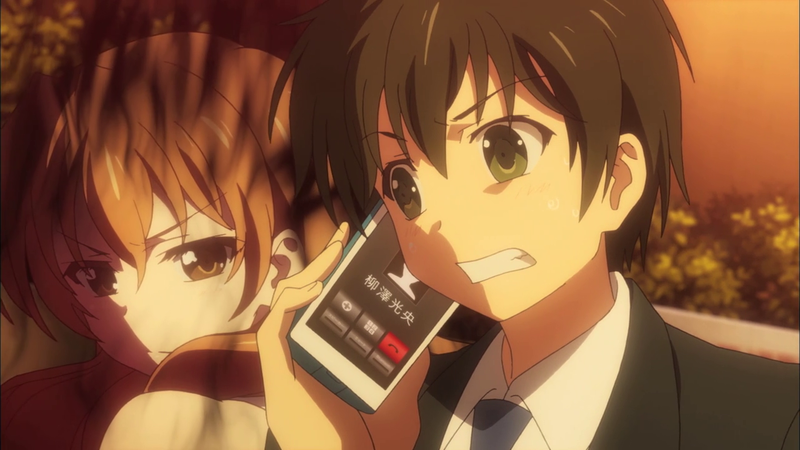 From the same creator of Toradora!, this anime is a romantic-comedy that revolves around a small group of college freshmen. You heard it right; this series is actually based on a college setting, as opposed to the very common high school background. The episode starts with a surprising introduction of our main female character before jumping into a catchy OP full of obvious hints on the main romance for the series. Afterwards, we start off with our main protagonist, Banri Tada (CV: Makoto Furukawa), who is having a poor start to his freshmen year of law school in Tokyo. After missing the entire opening ceremony, Banri is saddened by the fact that he has no family or friends around in the new college scenario. Being a freshman, Banri realizes that he has no idea how to get to campus, so he consciously stalks a few girls and gets side-tracked at a convenience store. While munching on a Popsicle, Banri notices a guy next to him who also has the same orientation package from the law school. The guy is Mitsuo Yanagisawa (CV: Kaito Ishikawa), who is surprisingly a lot like Banri and had the same plans as him. The two instantly become friends and share their backgrounds with one another as they head to campus. 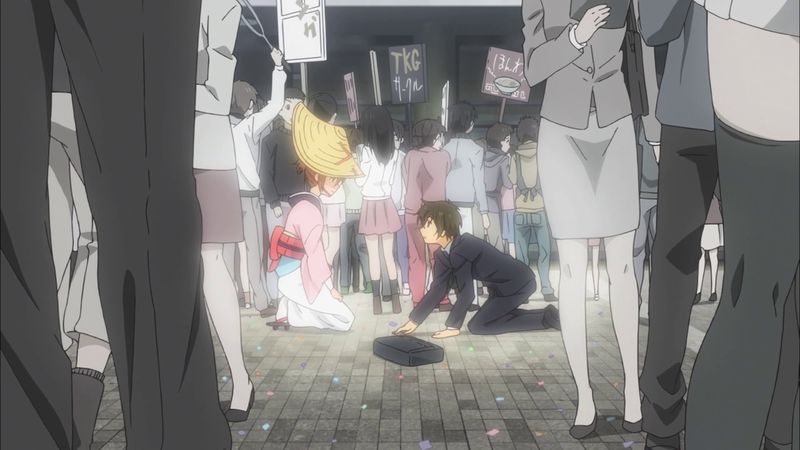 This is where the very first scene of the anime comes into play, as a girl by the name of Kouko Kaga (CV: Yui Hori) suddenly ambushes Mitsuo with a bouqet of roses. After Kouko dashes off, the two guys decide to playoff the strange scene and continue to orientation. How do you not notice her behind you? 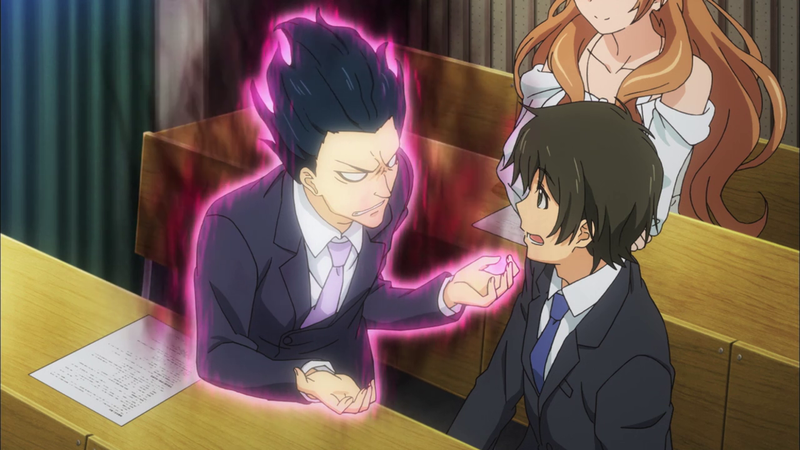 During the orientation, Mitsuo begins to describe the horrors of Kouko being obsessed with him in a comedic fashion before the professor tells him and Banri to shut up. In a surprising twist, Kouko reveals that she was sitting behind them the entire time and declares that she and Mitsuo were destined to be together. Banri is soon left alone when Mitsuo rushes out of the room, with Kouko in hot pursuit. While cleaning up Mitsuo’s dropped papers, he is helped out by a petite girl by the name of Chinami Oka (CV: Ibuki Kido) and soon befriends her. Upon exiting the building, he is dragged into a club recruiting convention and is assaulted by various groups. Although Banri is soon trapped by a strange dancing club, he is saved a mysterious girl named Nana Hayashida (CV: Ai Kayano), who easily stuns him with her beauty. On his way home, Banri runs into Kouko who quickly runs off to find Mitsuo, but expresses her gratitude for becoming friends with him. The episode then ends with an ominous scene of Banri’s past on a bridge. So this episode was packed with quite a few events and gave us a good view of the main characters of the series. Although the visuals aren’t too outstanding, J.C. Staff did a decent job with portraying the characters and backgrounds. The music is also fairly fitting with the overall presentation, so I have no qualms there. 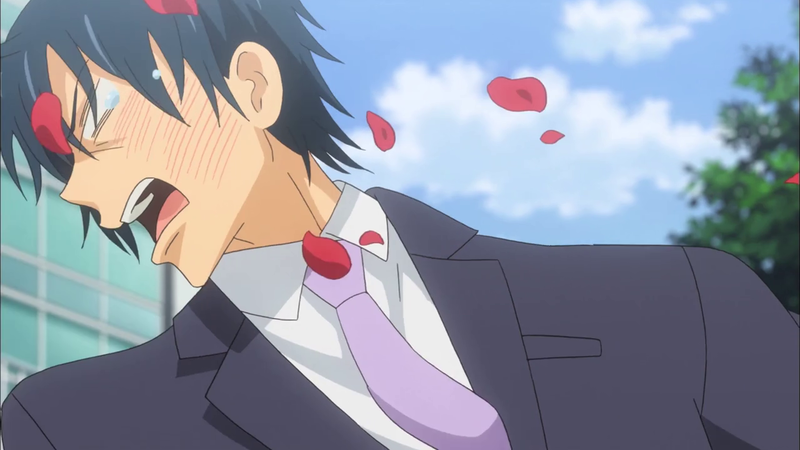 My only minor issue is that the OP displays the main couple being lovey-dovey, which kind of spoils things a bit. Other than that, the first episode is intriguing enough to draw interest and serves as a good introduction. As I have already read a bit of the light novel, I must say that the characters and their interactions are very interesting. The comedy, romance, and drama that you can probably foresee are likely to be excellent as long as everything is adapted well. I have high hopes for this series, so I can’t wait for next week’s entertainment.